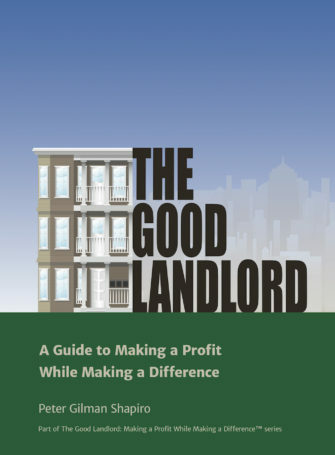 If you’re a landlord or property manager who wants to improve relationships with your tenants, reduce stress, and put more money in your pocket, this book is for you. 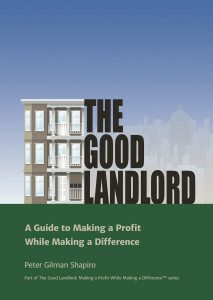 Filled with thought-provoking ideas and time-tested strategies, The Good Landlord offers landlords sensible ways to resolve tenant disputes while doing the right thing. With this highly practical guide, small property owners will find a way to address the most intractable tenancy issues they face. I highly recommend it! -- Esther Schlorholtz, Boston Private Bank & Trust Co.
Learning to deal well with people – their needs, frustrations, and foibles. Motivating tenants to meet your interests as well as their own. Managing difficult situations without losing your cool. Whatever the issue – how you communicate and resolve problems with your tenants can make a big difference in your success as a landlord. Mastering these practices makes a big difference in your success as a landlord. These practices don’t come easily. The Good Landlord provides practical, down-to-earth advice to make your tenant relationships work better. Filled with real-life stories, sample dialogues, checklists, and lessons learned, this book will increase your profits and make your job easier.